Opening on Friday 13th June 'A Circle' is an exhibition by Christopher Rountree, David Gates, Rupert Ackroyd and International Lawns (Andrew Curtis and Niall Monro). The four component practices of this project seem to have all emerged fluidly (organically), each with a degree of ambivalence. Ambivalence is used here in the sense of a committed critical position that steers clear of imposing a strong judgement on the subject being explored. It seems each component has taken its cue from immediate vicinities and subjects, as all of us are embedded in our surroundings and histories and are working off these. A dichotomy of doubt lies at the heart of The Rural College and this represents an ambivalence to the idea of the rural as a place with both positive and negative connotations, ideas, processes etc, but an opinion on this subject is not forthcoming from the participants of this Rural College exercise. Rather, Rountree, Gates, Ackroyd, Curtis and Munro attempt to reflect the complicated make up of the rural - it's ambiguous nature as a named place, its multifarious and often conflicting uses and seek to explore these ideas so as to open them up further. These ideas are reflected in each of the participants individual practices - the influence of ideas of the rural on suburbanisation, vernacular architecture, industrialisation of agriculture, pub architecture reform, garden planning and so on. There seems to be a strong concern with the effects of the industrial revolution especially with attempts to come to terms with its associated new patterns of life by the deployment of pre-industrial forms. Set into motion as 'The Royal Collage of Art' with a simple wordplay and a reaction to continuous narrative, expected results and seemless surfaces, with its interests in collage, fractures and fissures and its feet in mail–art it quickly migrated to become 'The Rural College of Art' a word play on a wordplay, shaking off the weighty royal title and rooting itself in a fictitious landscape, with this new found freedom it quickly applied self imposed rules, rules which it instantly aimed to circumvent. Its primary function being that all projects must be completed in one day and whilst serving as a receptacle for unfinished ideas it drew up plans for a pinhole camera on the moon built in an existing crater. 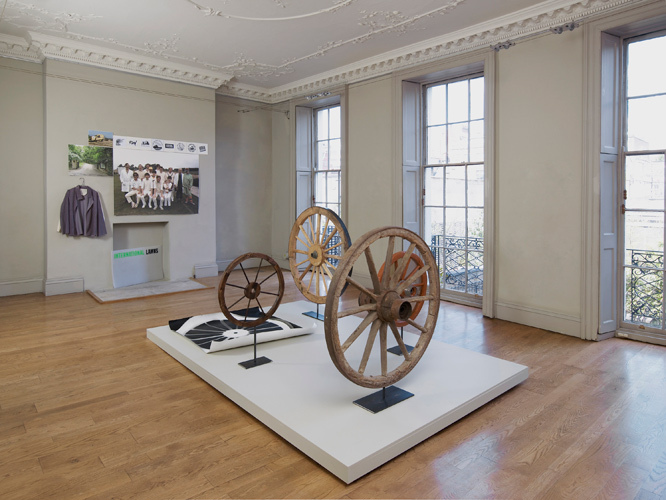 This exhibition was initiated as a way of trying to somehow uncover a loose form of the rural college of art, from its roots, through action, to its possible sustainability and continuation. Christopher Rountree (CR) is an artist and writer whose research centres on the examination of design aesthetics in themed consumer environments from the late Victorian era to the present day. Recent projects include: The PubCo. Research Centre, a long–term collaboration with Rupert Ackroyd, the essay 'Where the Working Man will go for a Pint or Two' (pub. 2015 in 'Biographies of Drink' ed. M. Hailwood and D. Toner, Cambridge Scholars Press) and the photographic essay 'Sturm und Drang' 2013 which documents the New River Walk, a modern London park designed as a homage to Parisian public landscapes of the Romantic period. Having gained unrestricted access to the Rural College archives (CR) attempts a cultural history in which to locate The Rural College of Art from the point of view of an unreliable editor. For 'A Circle' (CR) offers selected pages from 'A Circle – Manifestos for Interregna', an attempt to unpick and unpack some of The Rural College's activities. (CR) was born in Belfast, Northern Ireland and now lives and works in London. Pages 7–8 & 8–9 excerpted from his text 'A Circle Manifestos for Interregna' may be downloaded *here and might well also be available in the gallery during this exhibtion, published in an expanded form. David Gates (DG) is a living artist working in Rural Essex. His first solo show took place at domobaal in 2013, followed by 'Aus dem Feld' curated by Eva Wilson during Berlin Gallery Weekend 2013. Concurrently with 'A Circle' (DG) has been invited to present 'Standard Image' a solo exhibition within the framework of the Copenhagen Photography Festival in the former Carlsberg Brewery from 5 to 15 June 2014. Rupert Ackroyd (RA) was invited by (DG) to work on a caravan that had been converted into a pinhole camera and placed in private woodland in Essex, the caravan's limitation of only being able to take landscape photographs was judiciously rectified with the expedient addition of cart wheels, allowing the caravan to pivot on one end to take portrait photographs, whilst simultaneously allowing for a study on the history of object and subject. (RA) is a working artist living in London. 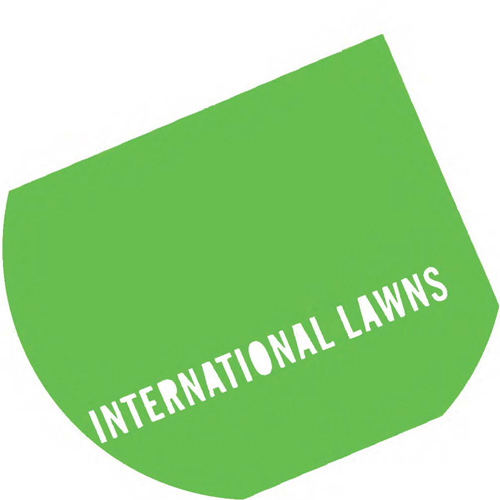 INTERNATIONAL LAWNS (IL) is a design group led by Niall Munro (NM) and Andrew Curtis (AC). 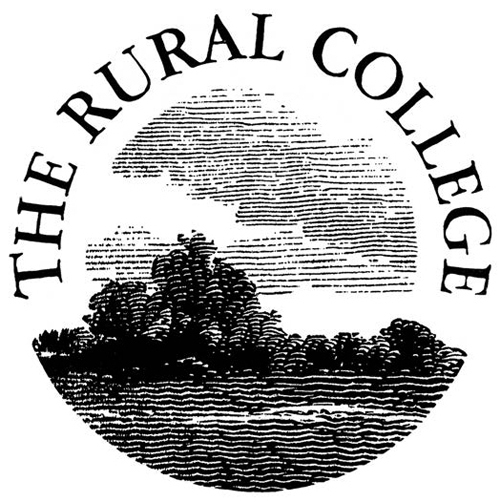 (IL) were approached to rebrand The Rural College of Art. Driven by a fascination and respect for the history of brand management and corporate identity, (IL) undertake projects by both commission and personal motivation. In contrast to the façade of resolute self–belief characterised by most large design groups, (IL) practice a philosophy of doubt, questions and distraction. Current projects include a re–working of Raymond Loewy's decommissioned cloverleaf Co–op logo, an unsolicited rebrand for BT in addition to the strategic restructuring of The Rural College of Art. (IL)'s most recent intervention took place during EC1 & WC1 Gallery Day in April 2014 when they presented 'Men in Black – Barry Sonnenfeld 1997' from their 'Cinematic Lawns' range, an extension of the Lawn Archive. For images, biographies and more information on the artists, please contact the gallery.